If you’re young and your career is in its early days, you’ve likely been privy to plenty of career truisms and clichés. But if “follow your passion,” “give 110%,” and “be true to yourself” just aren’t cutting it for you anymore, perhaps advice like, “don’t work too hard” and “relax” are more up your alley. Warren Buffett: Exercise humility and restraint. In today’s hyper-connected and transparent marketplace, brands and products arrive and depart at hypersonic speeds. According to the 2012 Edelman Trust Barometer, For the first time, trust and transparency are just as important to a company’s reputation as the quality of their products and services. In U.S.A., these two elements stand even higher than product quality. Cautious of fraud, scams, and scheming marketing tactics, customers are beginning to perceive the world defined by genuine or contrived. More often than not, they’re basing their buying decisions on how authentic they judge an offer to be. Unfortunately though, many companies don’t practice trustworthiness and credibility. Alternatively, they attempt to grow their firms based what they believe customers want to hear. But listening to prospects and customers and mindlessly responding back what they state isn’t going to earn trust or relationship capital from the customer. It is not about deceiving people with amazing commitments. Rather, it is about courageously proclaiming what you believe, and then withdrawing to observe who is attracted to your idea. Credible brands are able to earn a loyal following; a social community, so to speak. Happy customers will share their experiences with peers and friends, and if the company stays true to its messaging and continues to deliver products and/or service that are in alignment with the customers’ hopes, it will be on the path toward building a relationship capital brand built for the long-run. Take the Free Relationship Capital (RC) Test. I welcome you to take this assessment in confidence as we never share this information outside Standard of Trust. The following steps are by no means the only ways to build trust, credibility, and relationship capital, but they are the most important. 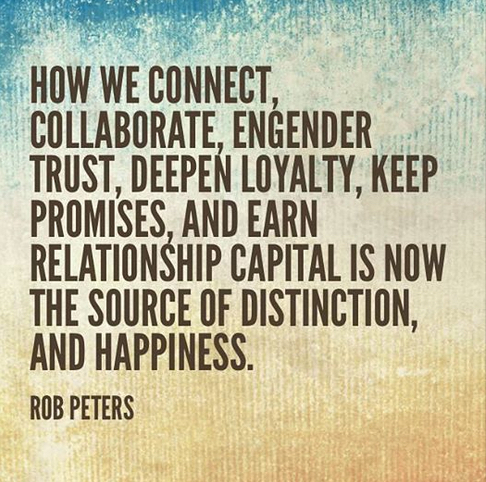 Your ability to embed this relationship capital guiding principles into your company’s purpose will be an effective way in earning and building relationship capital with your stakeholders that will sustain long-term distinction. To make a difference to business organizations and their stakeholder relationships through the capture, measurement, and utilization of open standards of relationship capital. To assist business leaders and their organizations to compete by out-behaving the competition. Look for the moments to demonstrate your authenticity. Whether it’s online with social media or your LinkedIn blog, or in offline interactions with others, take the time to learn and understand your audience and permit to learn and understand you too. How far would you go to show your authenticity and credibility? Decide how you will demonstrate your guiding principles and how open you want to be. Then make a plan of action for showcasing this openness. Keep your communications consistent. The messages that you’re sending out through marketing, promotions and social media should be in alignment with the offline experience that you provide to customers. Finally, get ready for the resistance. When you build a certain level of awareness, you’re going to get people who oppose. Don’t let this dishearten you or sidetrack you from your guiding principles and purpose. Stay committed to your principles, and you will earn respect (and relationship capital) from the people around you. Your loyal and customers, employees, partners, and brand ambassadors will defend and support you. 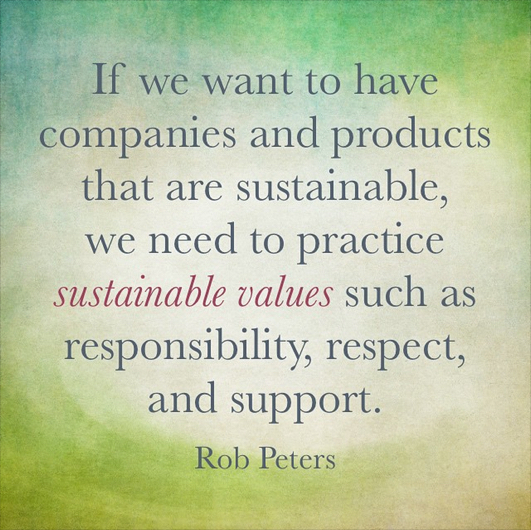 Whether a business leader, entrepreneur or startup, committing your authentic self is about being true to your guiding principles and fulfilling your stated commitments to your stakeholders (customers, employees, or partners). Leading with authenticity is not for everyone, but those who decide to utilize this as the foundation for establishing or nurturing a relationship capital business or a relationship capital brand will learn that building a company based on purpose, performance, and relationship capital will provide sustainability despite the accelerating changes that may come in the future.